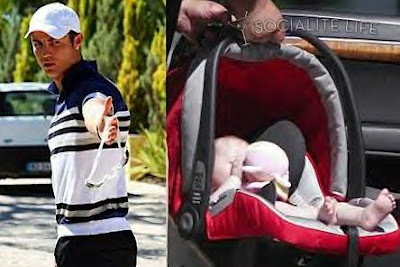 "Cristiano Ronaldo's baby son, Cristiano Ronaldo (yep, same name), was snapped being toted around Lisbon by the soccer star's mother Delores and her boyfriend yesterday," reports Socialitelife. Media reports say that Ronaldo has full custody of the child and that it was born from a surrogate. The unidentified woman is believed to be an American.